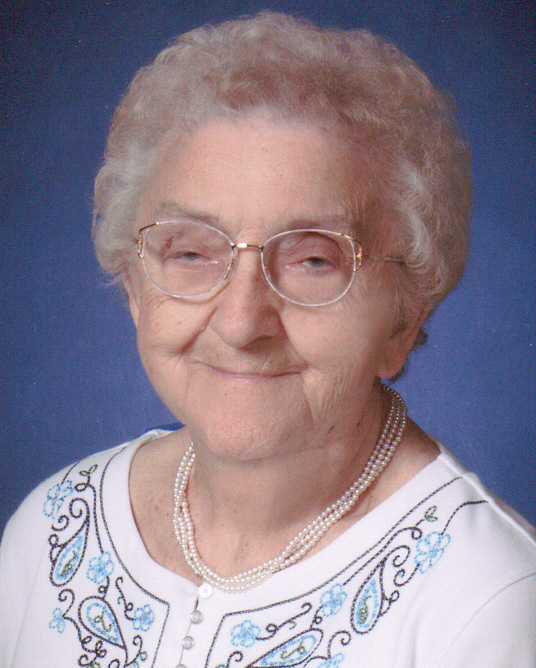 Mary Edith Funk, 96, of Glen Burnie, MD, died on Friday, November 30, 2018, at the Future Care Nursing Home in Arnold, MD. Edith was the last surviving member of her family. She was born October 27, 1922, in Marquess, WV, a daughter of the late Jule C. and Lola (Bolyard) Huffman. She retired from Maryland Glass after working over 25 years in the packing department. Edith loved going to the beach in Ocean City, crocheting, and loved coming to Preston County to spend time with her family. She is survived by her son and spouse, Robert “Bob” and Leonore Funk of Glen Burnie; three daughters and spouses, Lana C. Farnsworth of Baltimore, Wendy R. and Donald Bullock of Lewes, DE, Rita R. and Dale Elkins of Lansdowne; eight grandchildren; two step-grandchildren; 12 great-grandchildren; eight step-great-grandchildren; four step-great-great grandchildren. In addition to her parents, she was preceded in death by her husband of 58 years, Jarold Cranston Funk in 2003; three brothers, Truman Huffman, John Huffman, infant, Julius Huffman; one sister, Edna Pearl Hall; one grandchild, Vickie Firestone Wiles; one great-niece, Robin Zinn. Family will be received at the Rotruck-Lobb Kingwood Chapel; 295 South Price Street, on Wednesday, December 5, 2018, from 11:00 a.m. until the time of the funeral service in the funeral home chapel at 1:00 p.m. with Larry “Pete” Nicholson officiating. Interment will follow at the Mt. Zion Cemetery in Marquess.